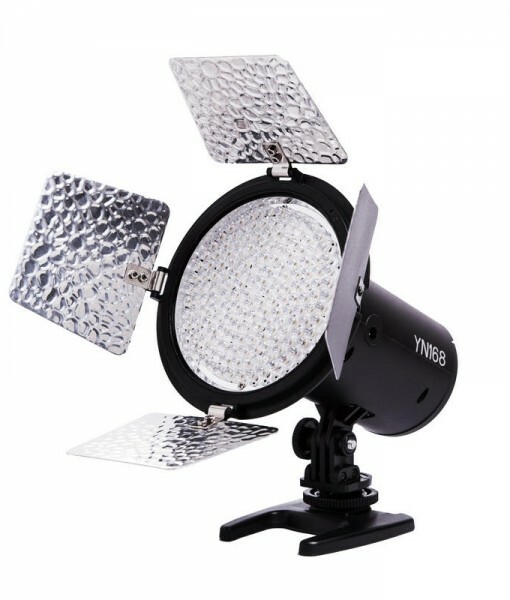 Yongnuo YN168 LED video light is formed by 168 high-quality LED lamp beads of extra-large luminous chips. 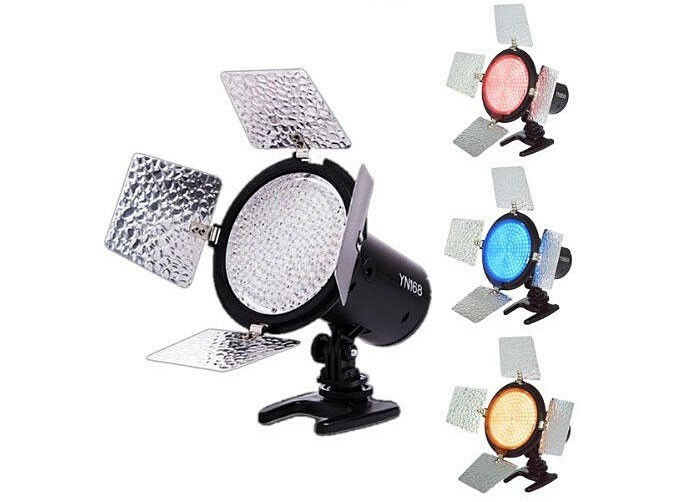 The brightness can completely satisfy the requirements of various environments, thus the camera light can be dimmed accurately and reliably, the light spot is more even and the service time is longer. 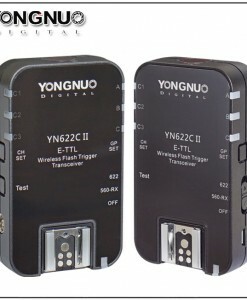 The YN168 adopts the encoder digital dimming mode, thus the camera light can be dimmed accurately and reliable, and will not lead to undesirable effects such as light shaking after long-time use. 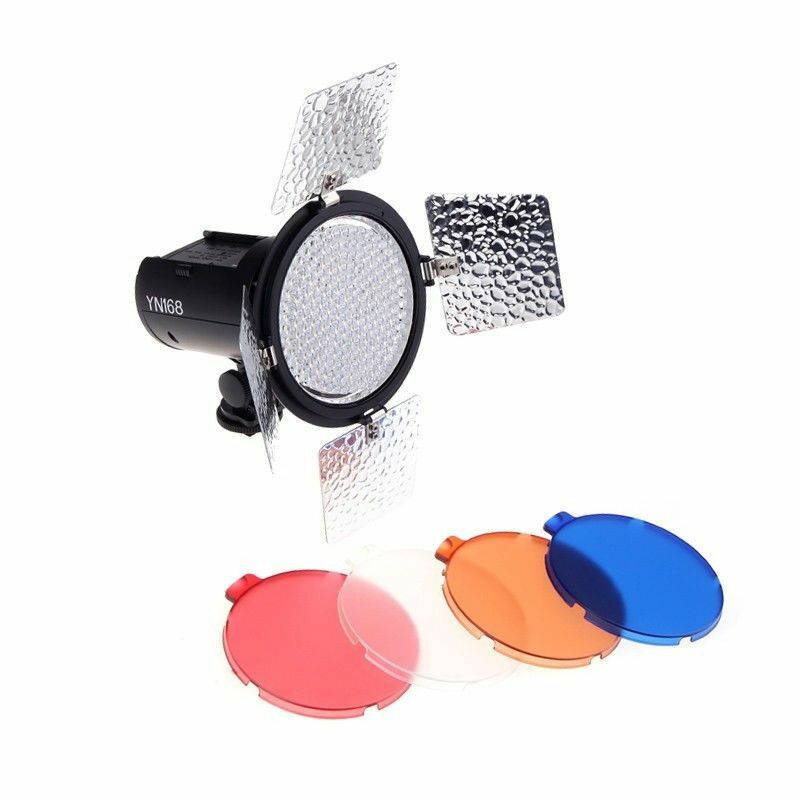 This LED light can be separately adjusted to rough dimming and fine dimming modes, which is more convenient to use. Adopted the professional LED driving chip, the light is stable and the efficiency is up to 93%. 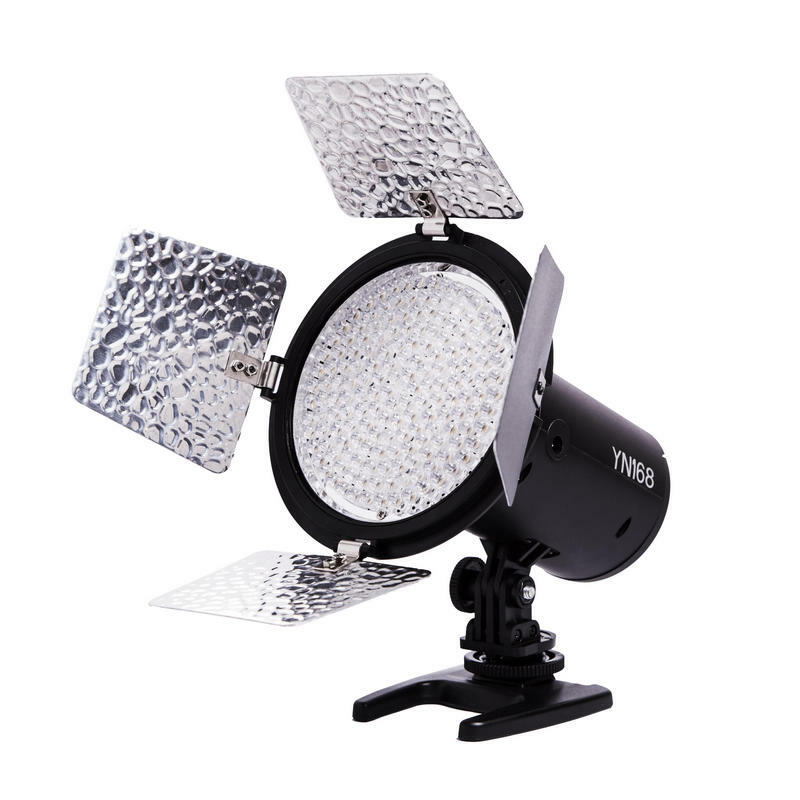 Yongnuo YN168 LED video light contains 168 high-quality LED lamp beads. 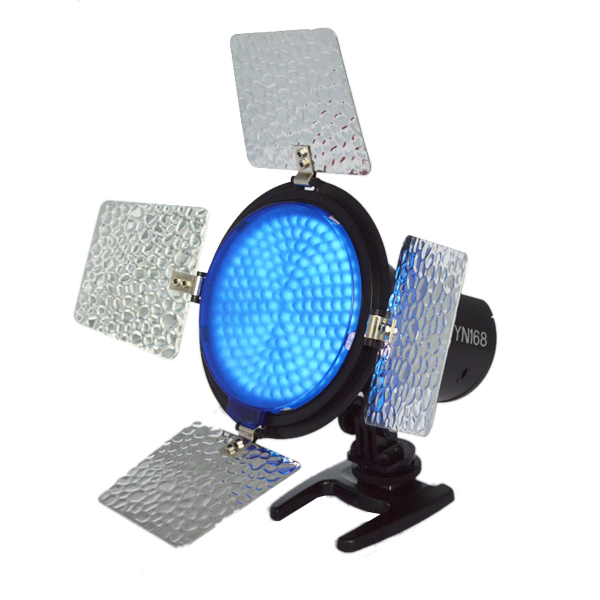 Perfect for video or light painting.The brightness can be dialed in precisely with the digital dimming mode. 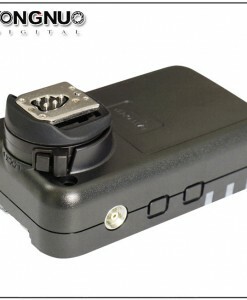 The metal hot shoe with tilting lock lets you mount on you SLR, camcorder or direct tripod mount. Removable barn-doors and 4 included gels add to the adaptability of this LED. Flexible power options include 3 power supply modes. DC power supply (optional), lithium battery (optional Sony NP-F batteries), AA size batteries. 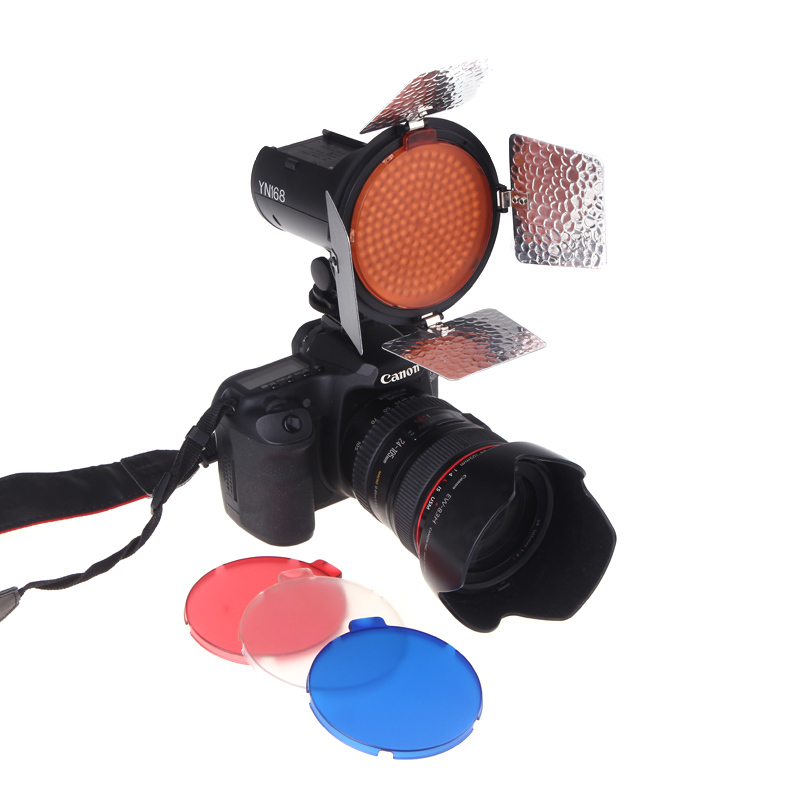 The LED light can be mounted on the camera as well as fixed on a tripod. 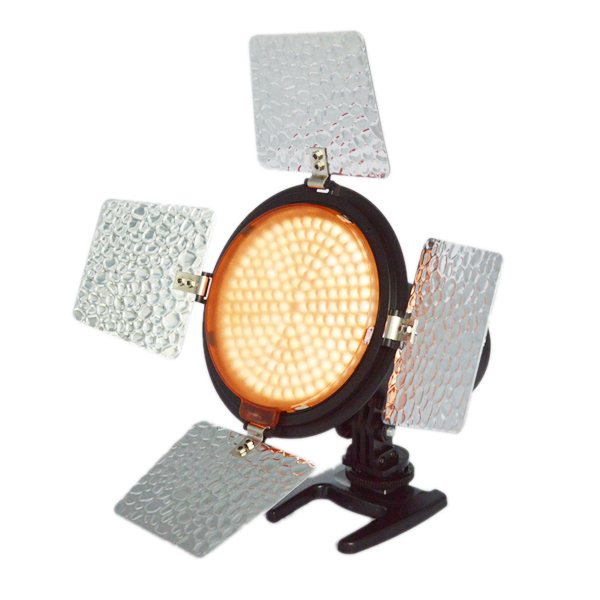 Four color temperature plates are provided and suitable for use under different environments. Provides 3 types of power supply: DC power supply (optional), lithium battery, AA batteries.